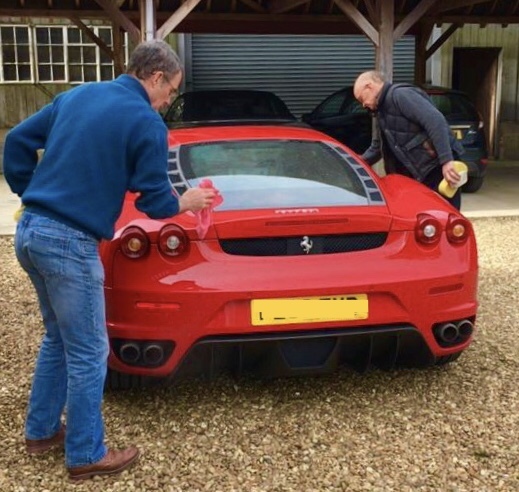 An exciting two-day car show is coming to Broadway in the Cotswolds this summer. 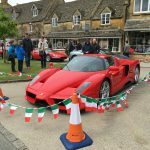 A celebration of fabulous supercars, classic and vintage cars will take place in the village on 13th and 14th July 2019. As in previous years, the show will take place right in the centre of Broadway (postcode WR12 7AA). 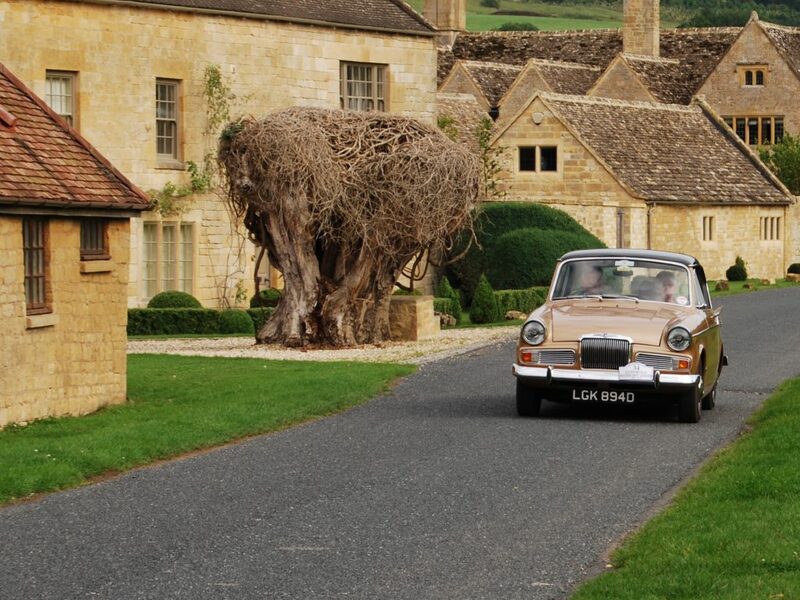 The weekend will be a great opportunity to soak up Broadway’s Cotswold charm and character. The village has a range of fabulous independent shops, art galleries, museums, restaurants, tea shops and cafés. Alongside beautiful cars, there will be plenty happening on the village green with street food and memorabilia on sale and a live jazz band. 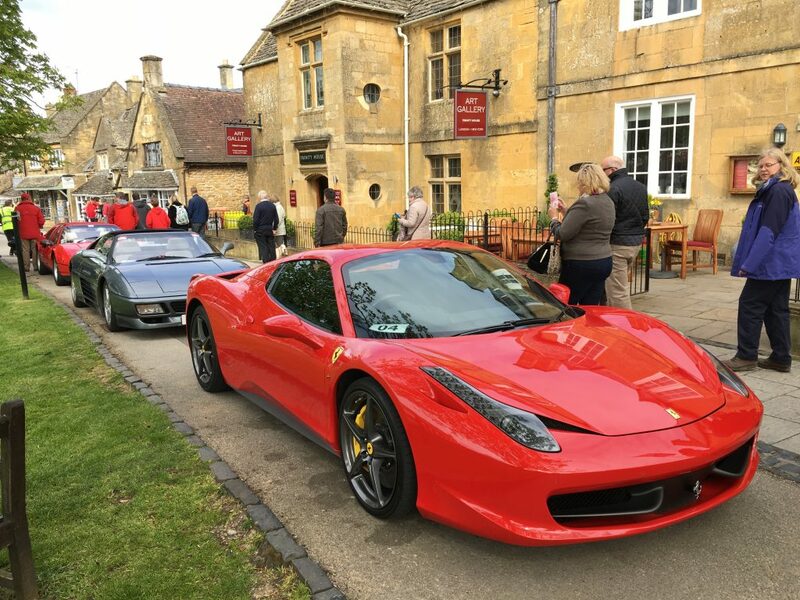 Supercar Saturday starts for exhibitors with an optional drive through the Cotswolds culminating with a parade through the village by members of the Cotswolds branch of the Ferrari Owners’ Club and the Supercar Drivers’ Club. 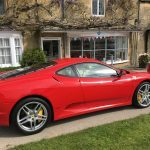 The cars will park along the High Street and the village green for viewing alongside a display of Bentleys, Aston Martins (including an Aston Martin Vantage S), a SLK55 AMG Mercedes and many others. 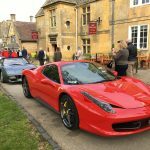 The Lygon Arms will be hosting a lunchtime charity fashion show by Slate Clothing and the day will end at The Lygon Arms with a black-tie dinner hosted by a motoring celebrity (both events are subject to booking and availability). 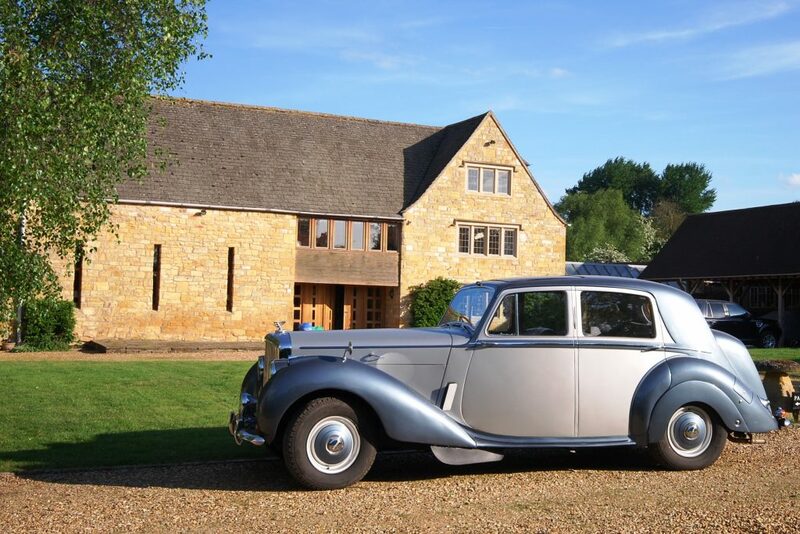 During the day there will be an opportunity to take a Morgan sports car for the morning or for an afternoon drive around the Cotswolds (subject to prior booking). 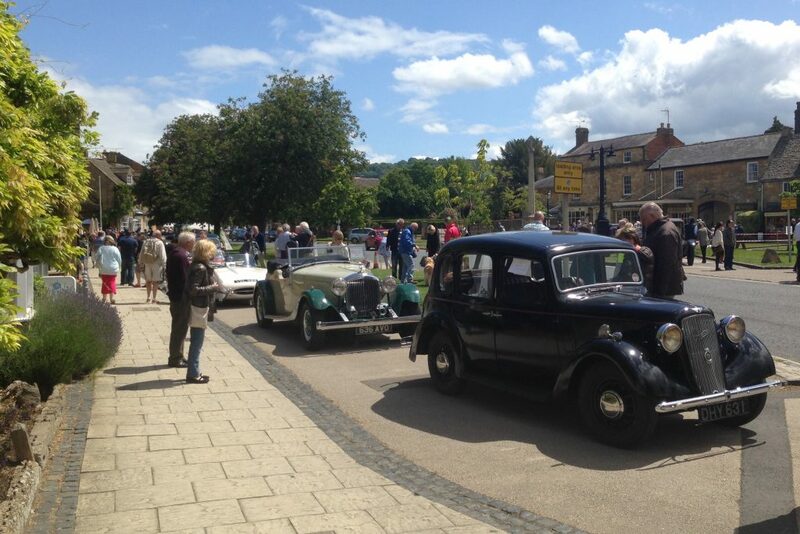 The theme on Sunday will be classic and vintage cars with a parade through the village and a fabulous display on the village green and High Street. 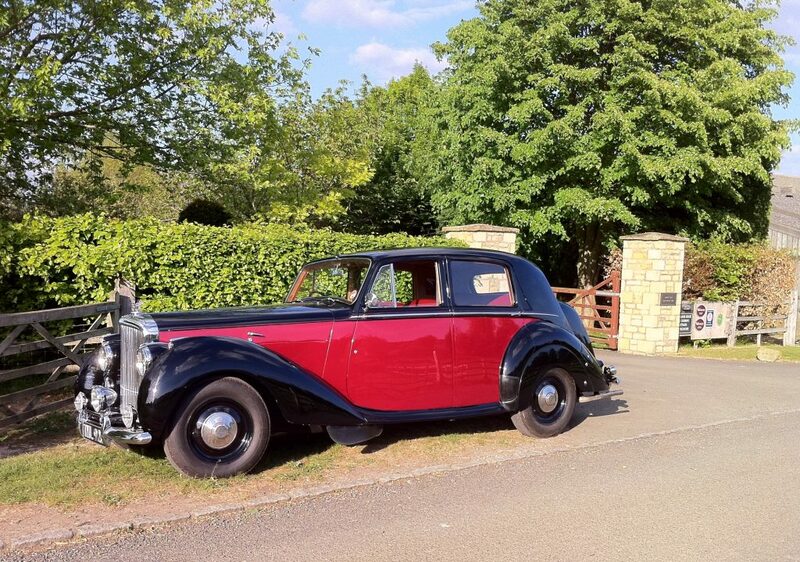 Expect classic and vintage Jaguars, Aston Martins, Bentleys, Rolls Royces, Bugattis and many more. The Morgan Motor Company will again be adding to the atmosphere with the opportunity to take a Morgan for a morning or afternoon drive. For more information about the 2019 Broadway Car Show click here. 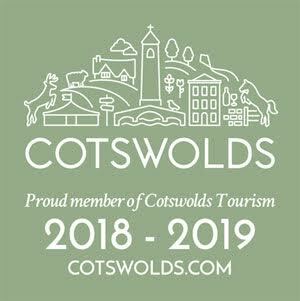 Why not make a weekend of it and stay in one of our Cotswold holiday cottages or stay for a week or more and spend time enjoying the surrounding area? Our holiday cottages are located on West End less than 10 minutes’ walk from the village green. We have availability in Rafters (sleeps 2) either for the weekend or for a longer stay. For more information about our holiday cottages in Broadway click here. 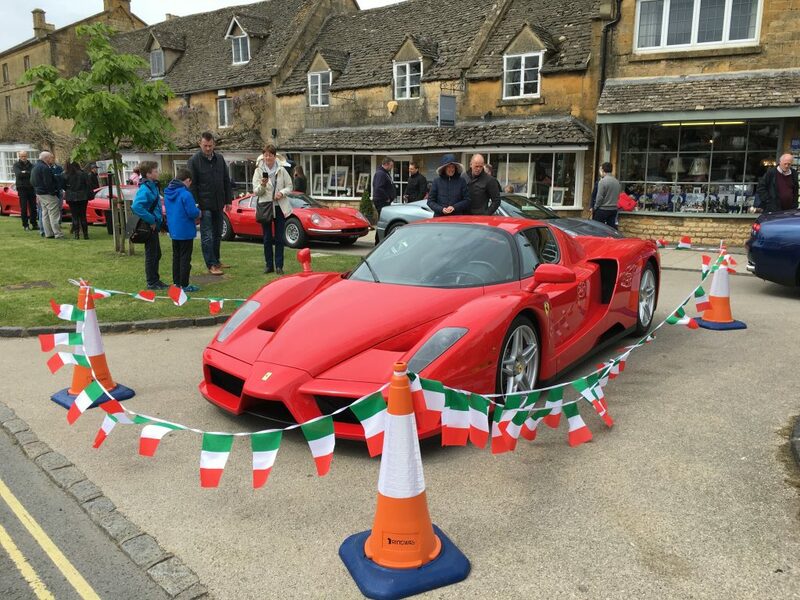 This Bank Holiday Sunday 6th May 2018 a little bit of Italy will return to Broadway when the High Street will once again be lined with bright red super cars (and a few yellow, white and blue ones too) when the Ferrari Owners’ Club comes to the Cotswolds. 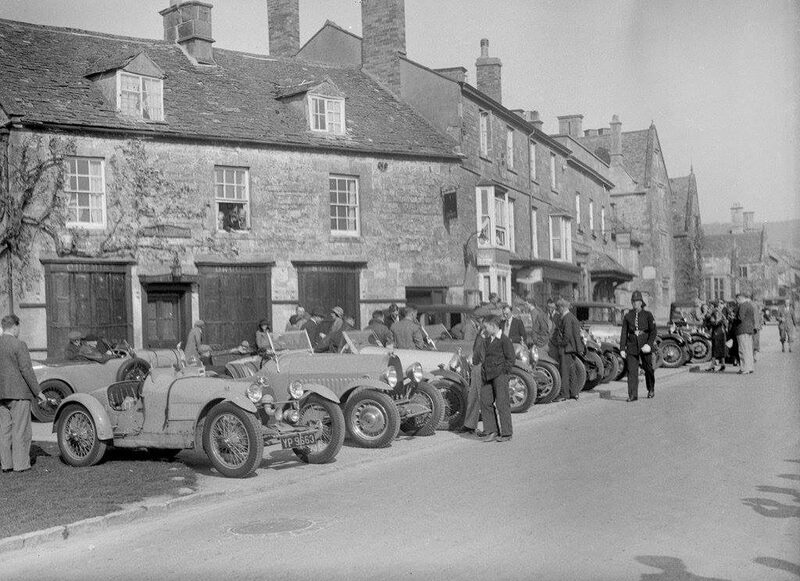 A fantastic event which has been hugely popular in recent years the cars will arrive in convoy and will be on show along the village green and High Street between 10.30am and 3pm. Look out for some Ducatti motorbikes too! 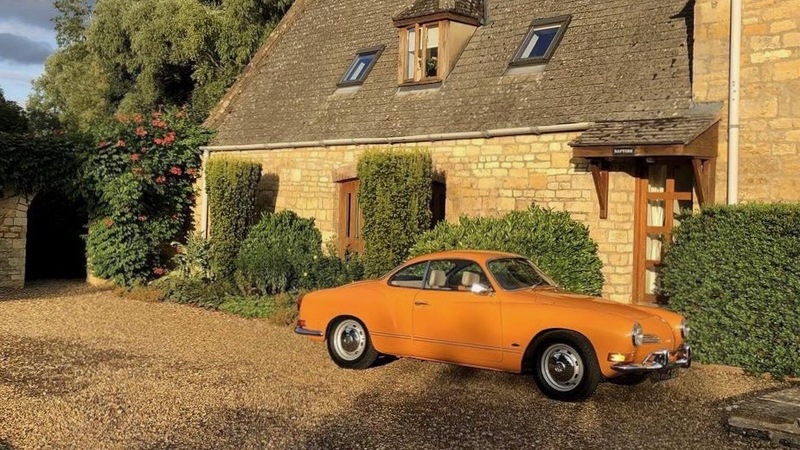 The 2019 Broadway Car Show featuring vintage, classic and supercars will take place on 13th and 14th July 2019 click here for more information. Send us an email or contact us here. 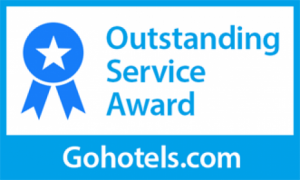 Our award winning self-catering holiday cottages and apartment are located in the extensive peaceful grounds of a Cotswold Manor House that dates back to the 16th century, just a few minutes’ walk from the centre of the beautiful Cotswold village of Broadway, in the Cotswolds Area of Outstanding Natural Beauty. Available to rent all year round for both weekly and short breaks, the rental includes all bedding, linen, towels, electricity and gas. The centre of Broadway with its elegant restaurants, tea rooms and coffee shops, traditional pubs, art and antique galleries and wide range of boutique shops, is just a few minutes’ walk from the our charming Cotswold cottages. A number of rural walks including the Cotswold Way National Trail are on the doorstep, making our cottages an ideal location for a relaxing break away. See Map of Broadway.